Our friend 9j and her family has spent quite a long time in USA, San Francisco, San Diego, Chicago, the departed a few days after we left Hong Kong. 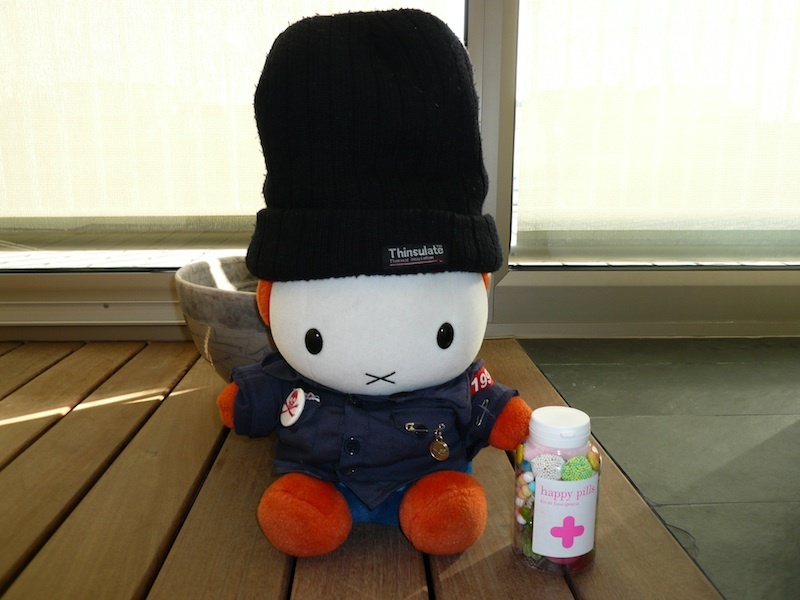 In her blog you can see how the enjoyed the time over there. 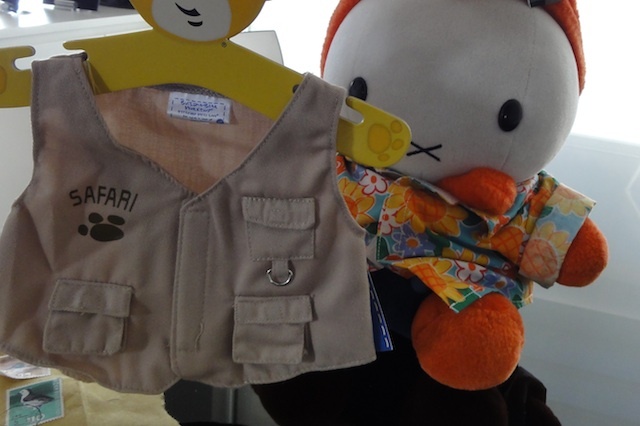 9j has visited one of the most exclusive bunny clothing firms in the West Coast and she has sent us this awesome Safari jacket and the tickets for a real safari in Namibia this summer. 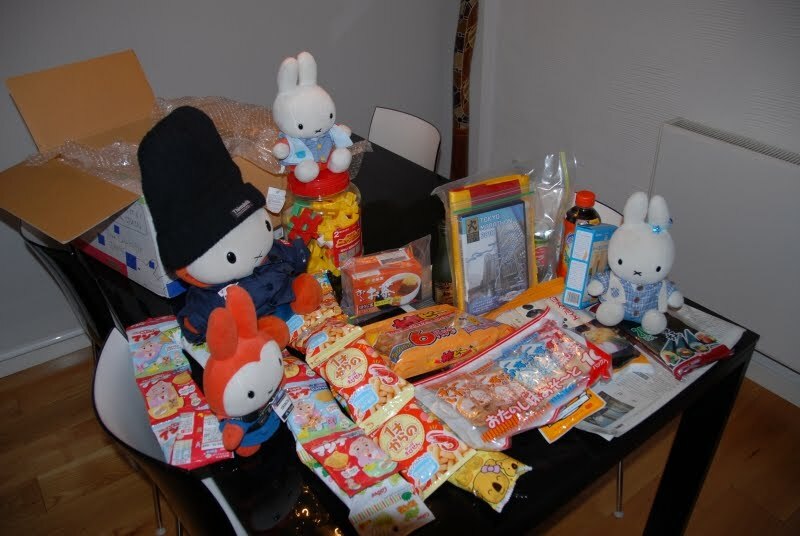 Our beloved friend 9j has sent us a lot of gifts to celebrate Chinese New Year. 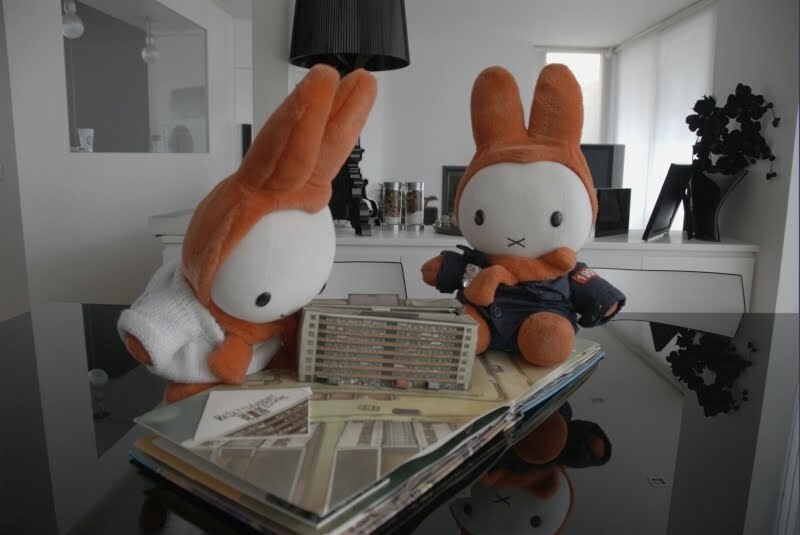 This year is a special one for us: The Year of The Rabbit. 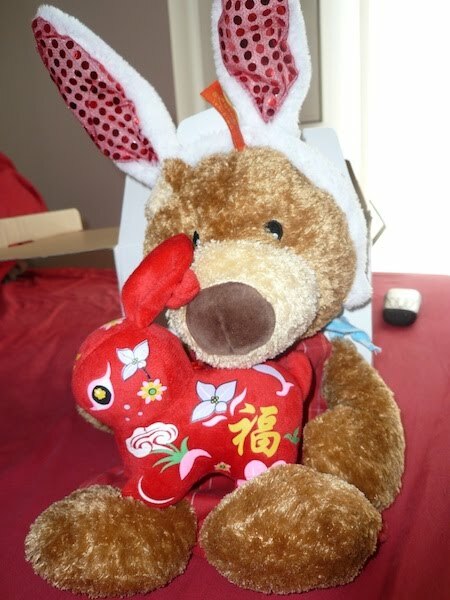 Among the beautiful presents it came Enwai Djei (NYJ in short) a new friend that will be living with us for some time. 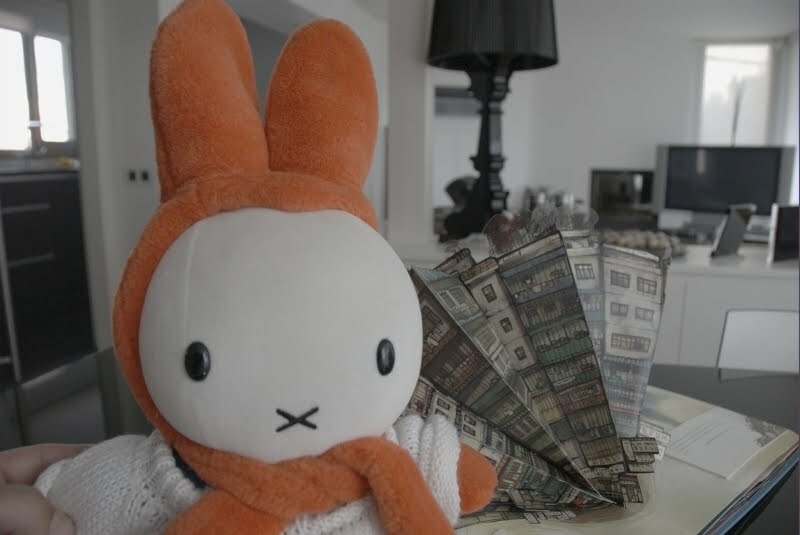 He is the heir of a very important Bunny warriors old dynasty and has a twin brother. Hi, this is Aurora Marie, Miffa’s twin sister. My sister is in Andorra – a little country on the Pyrenees – attending to court in a case related to little children diapers fraud (something related to trademarks and patents). 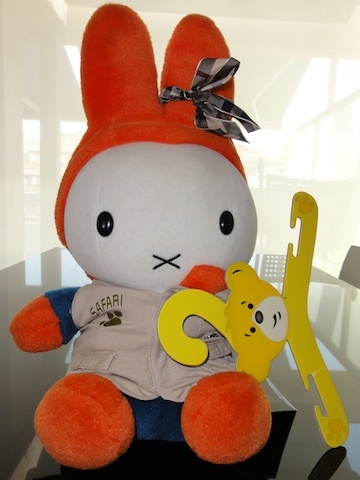 As Kathy and Melody (Kitty’s bunny) now me and Miffa are wearing a Ribbon. And just notice that it’s a Burberry’s one. 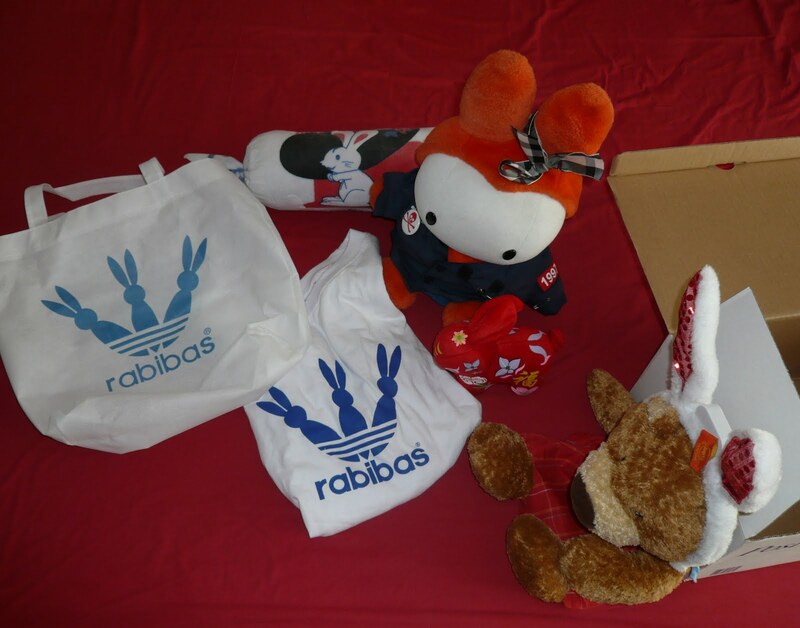 So I have had the great pleasure to say hello to our cousin “Kaï” who brought us a lot of presents from the 9j Clan. Thank you very much 9j! Hong Kong as you have never seen it! 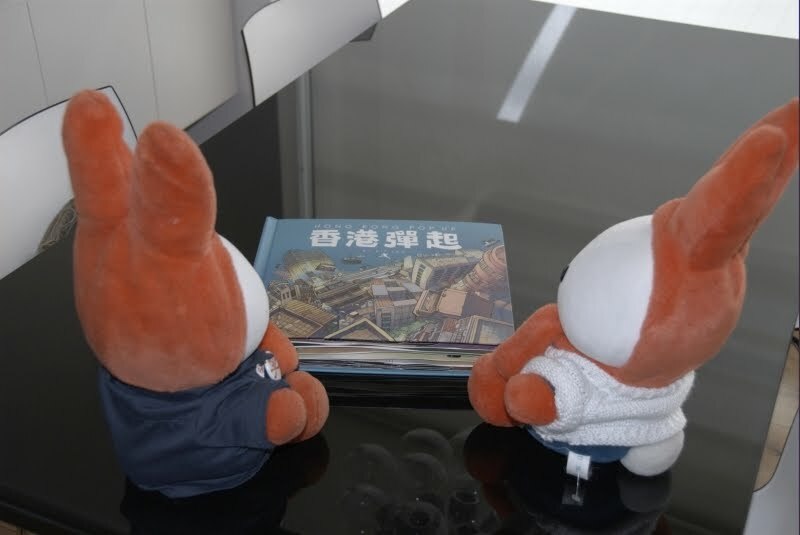 A couple of days ago my friend 9j sent me a great gift, a 3d book who tells you about how my hometown has growth in the past years. Whoever who knows me a little knows about my infinite passion about Hong Kong, a feeling that fortunately I share with my stepparents. I must admit that I like other cities too, and besides Barcelona is very nice city, but HK is far beyond them into my preferences. 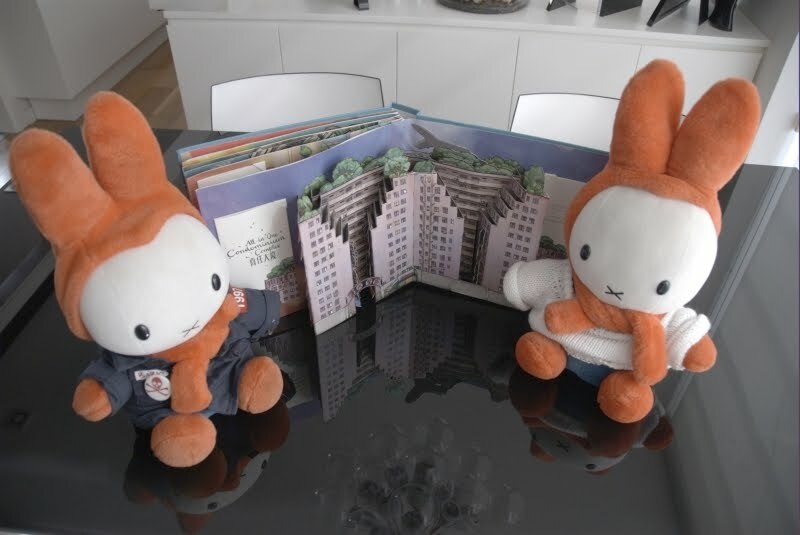 I was born in Hong Kong Island, exactly in Yu Sung Boon Bldg, located at 107 – 111 Des Voeux Road and my sister Aurore Marie was born in Aberdeen in a floating house. Thank to 9j I was able to meet again with my sister, but still there are many ones that I haven’t unable to know. We are a very big family but unfortunately widely spread all over HK territories. 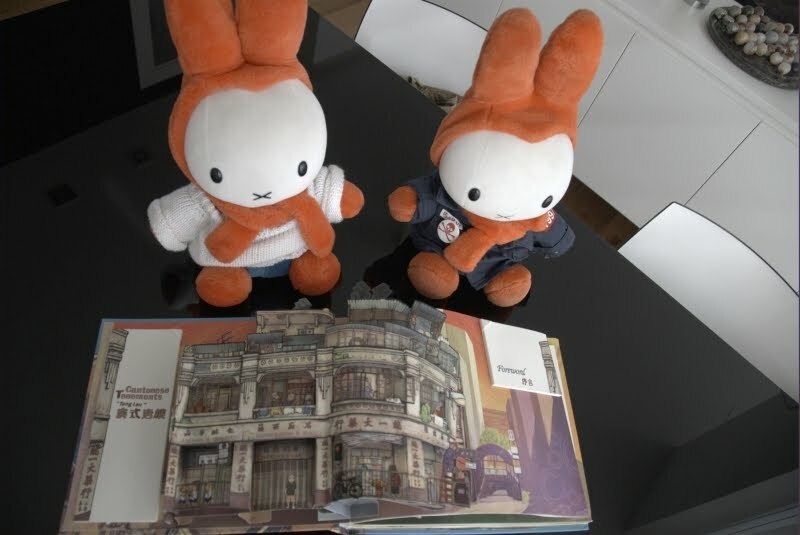 The book by Kit Lau – a HK illustrator and Artist – shows several HK’s landmarks that are part of the city’s heritage. Those places have evolved though time with the people who lived, or still live here, and are essential to understand how the city has developed during past 50 or 60 years. 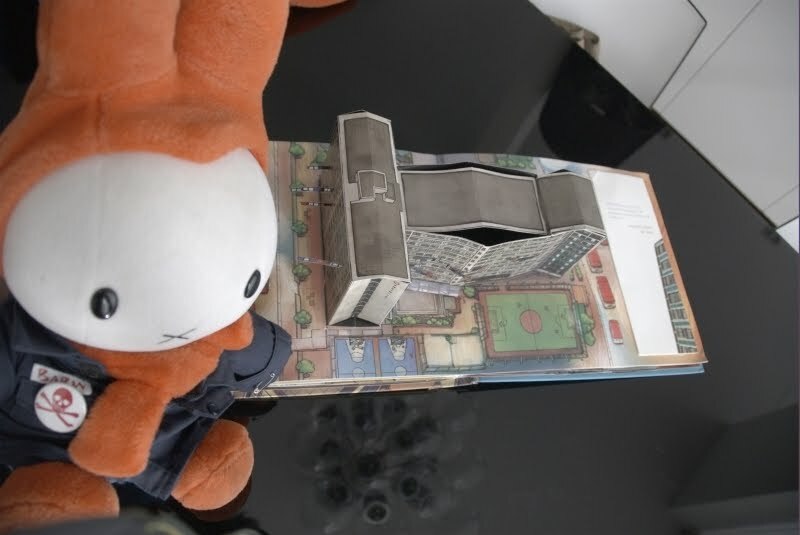 Together with the 3D figures we can find human stories who are inspired in Lau’s memories and his own family. The only pity in that most of the landmarks and stories are vanishing now and some places have been demolished. And just remember this if you plan to travel to HK, you will be glittered by lights and fast moving citizens but try to spend just some time watching the action passing by, after some time things freeze and in this “still” mode. HK show you all his beauty. After all you are on vacation and you don’t need to rush to anyplace. A nice bunny party with 9j’s presents. 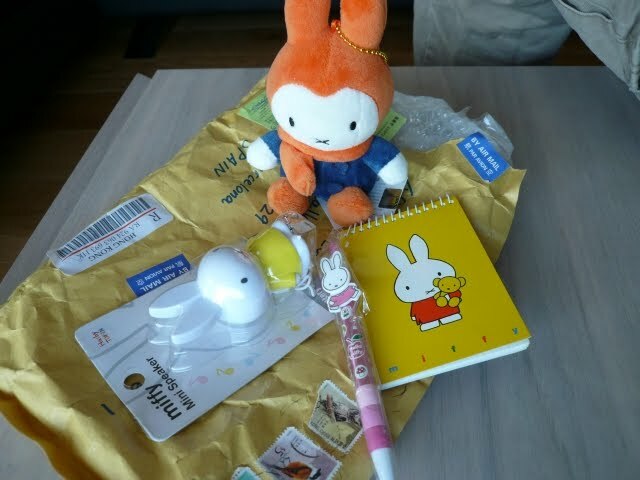 Our friend 9j has been travelling northern Europe and she sent us some beautiful gifts from there. 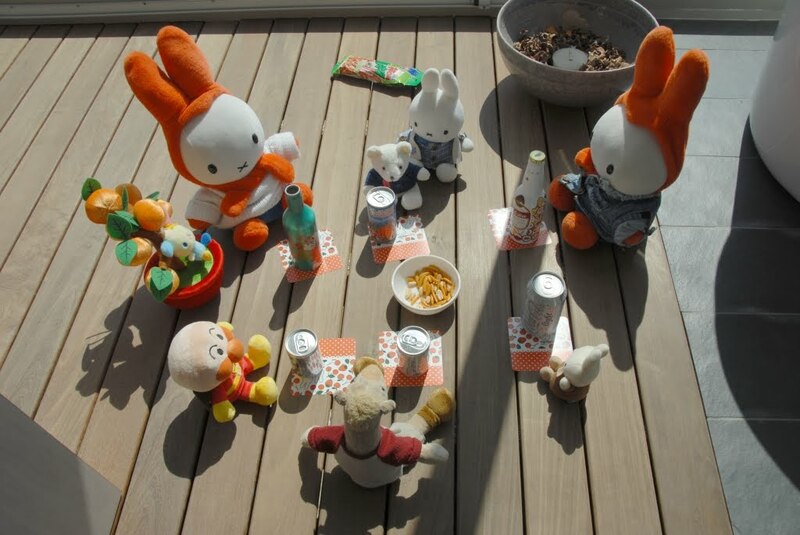 To celebrate the event we made a – small- bunny party to have some drinks and have the opportunity to use this Miffy coasters. 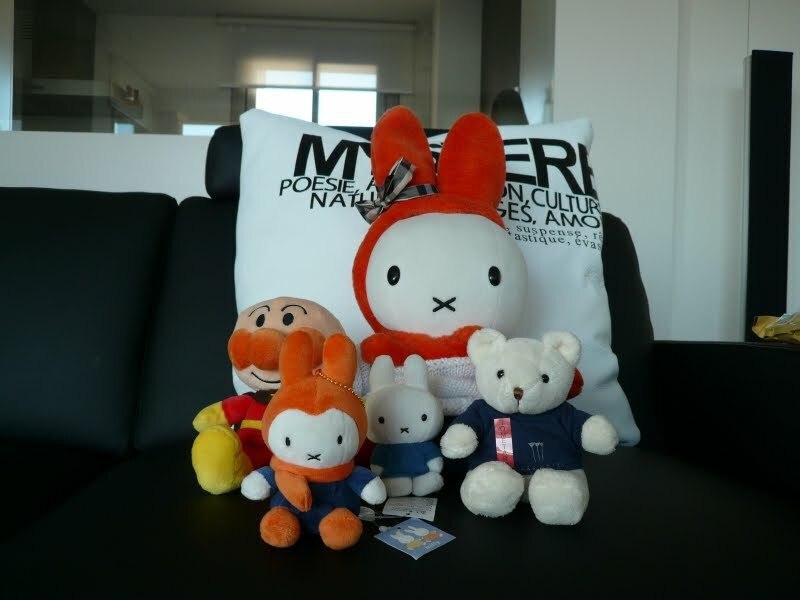 There were my sister Aurore Marie, Miffo, Anpaman, Mandarine from HK, Gladys from The Netherlands, Tometaro Bear from Japan and Boooboo from Dubai. 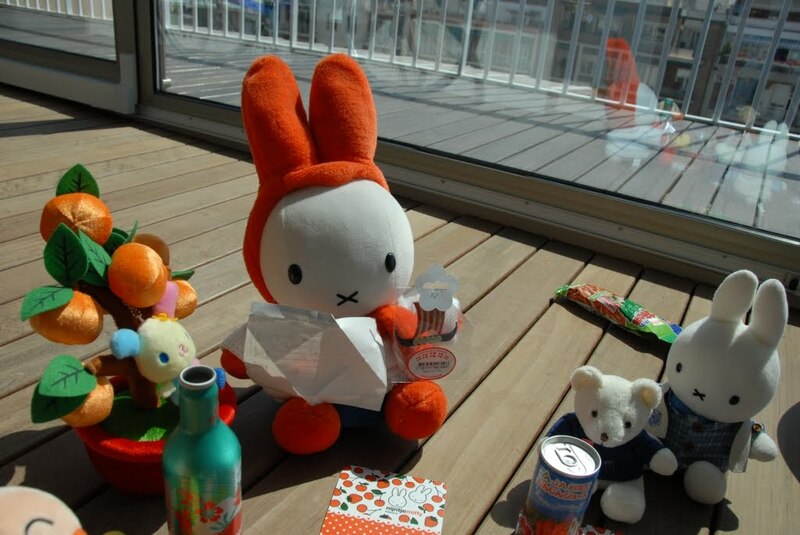 We had a great time drinking our favourite drinks and eating some Japanese crackers. Thanks 9J, We wish you have been here with us! 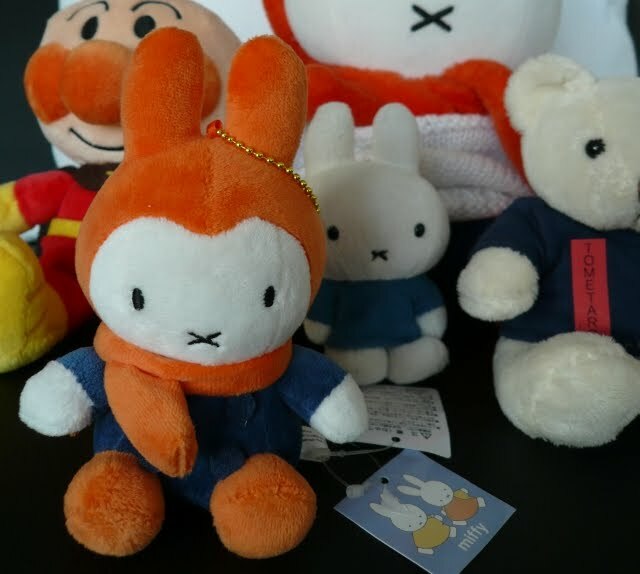 Great gifts from our friend Cafemiffy arrived to our country, just two weeks after our return. We spent a great time with them there and we are waiting for their next visit to Barcelona. 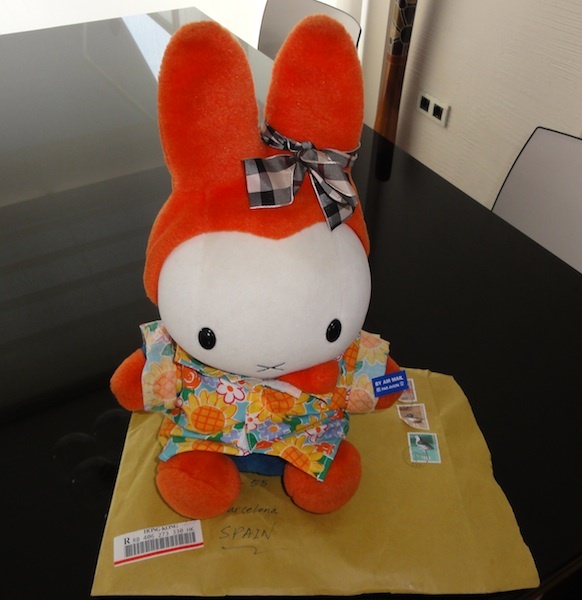 Actually the parcel arrived almost three weeks from now, but Father Bunny to improve security in our home LAN trashed the device and the hard drive of his laptop. Thank good I made a back up, if not all the pictures from our trip would have been lost.